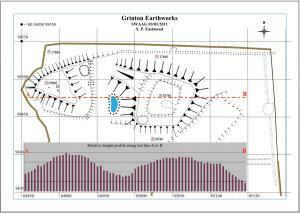 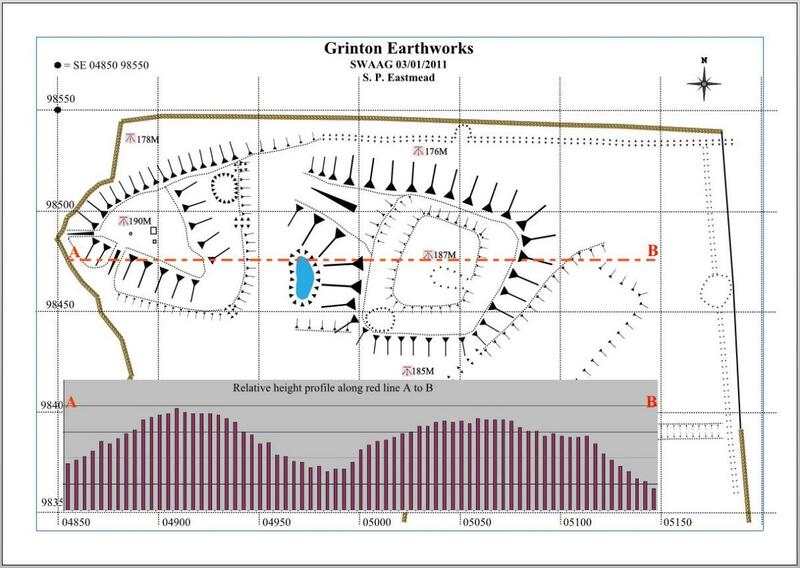 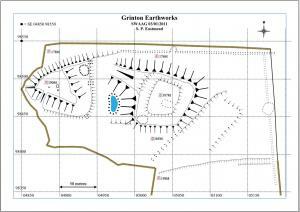 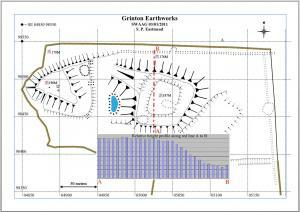 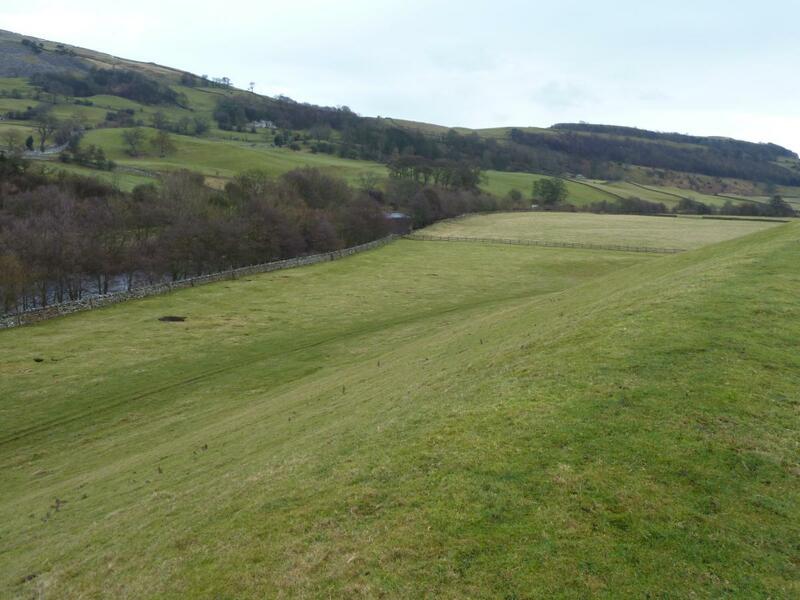 Geology Sited on the River Swale Flood plain where two glacial terminal moraine mounds have been utilised by ?Iron Age man as a defended settlement, however a pre WW2 excavation suggested there were medieval, but didn't exclude a prehistoric past. 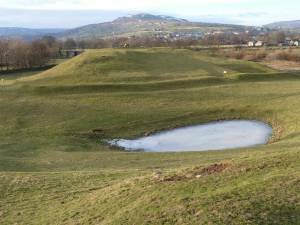 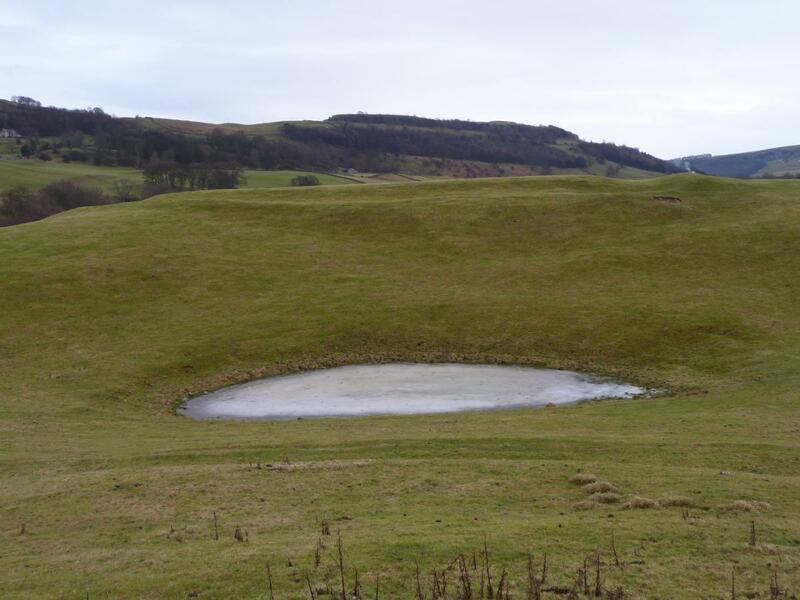 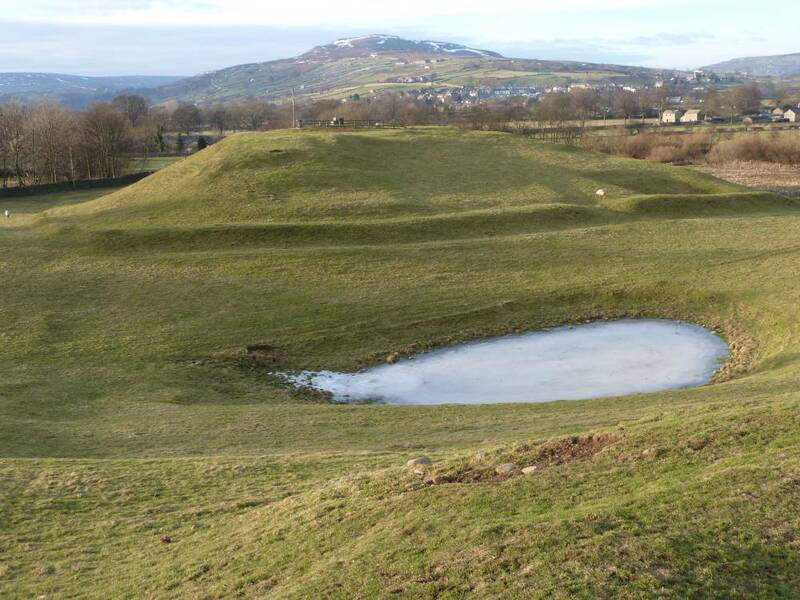 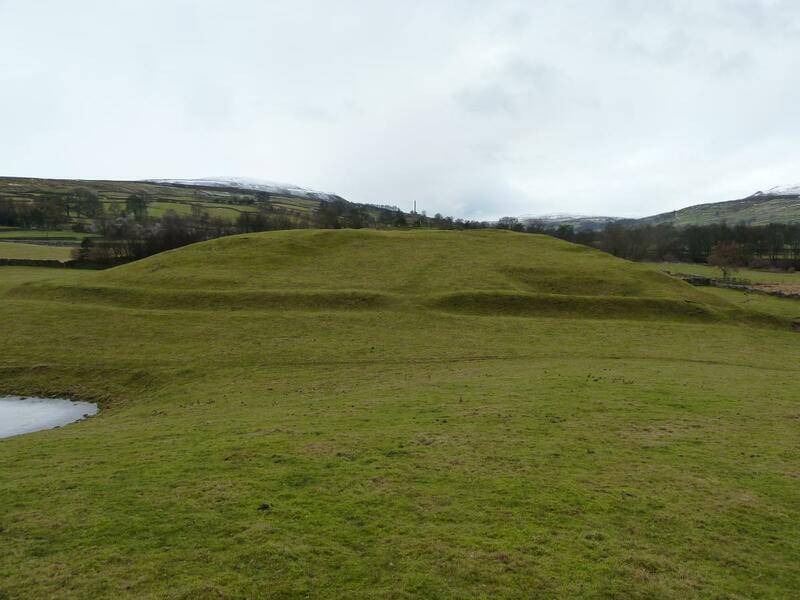 They have been variously described as: Iron Age Hill Fort or a Roman Siege Fort but there appears to be no hard information published on the Internet to support either suggestion. 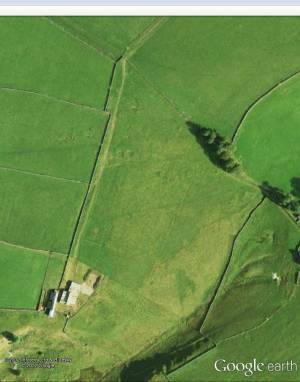 The best suggestion appears to be they may be an Iron Age / Romano-British defended settlement, however a pre WW2 excavation suggested they were medieval, but didn't exclude a prehistoric past. 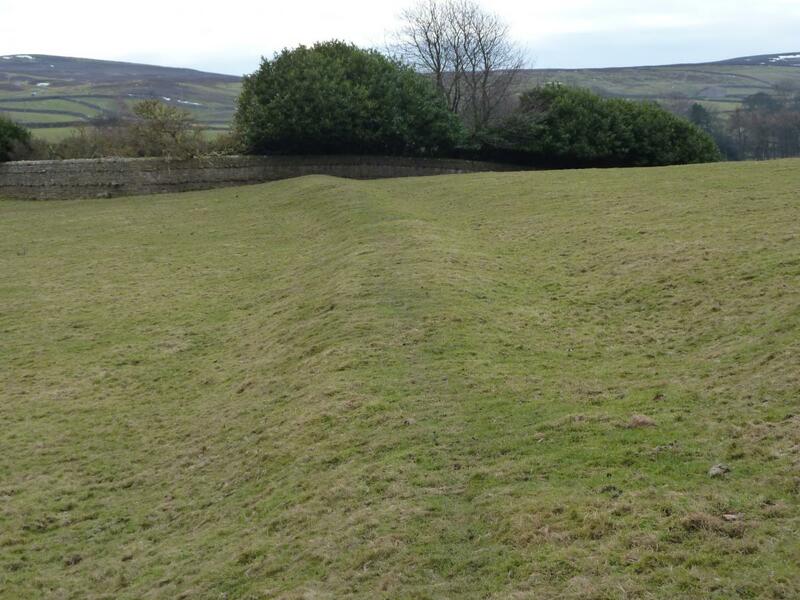 There is evidence of medieval settlement and rig and furrow ploughing nearby. Dimensions Western mound approximately 100x80 metres. 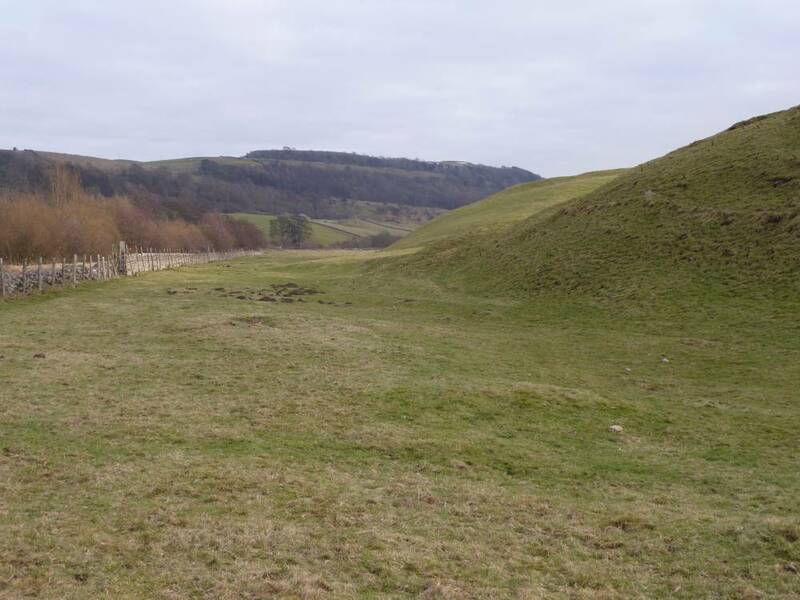 Eastern mound approximately 150x70 metres. 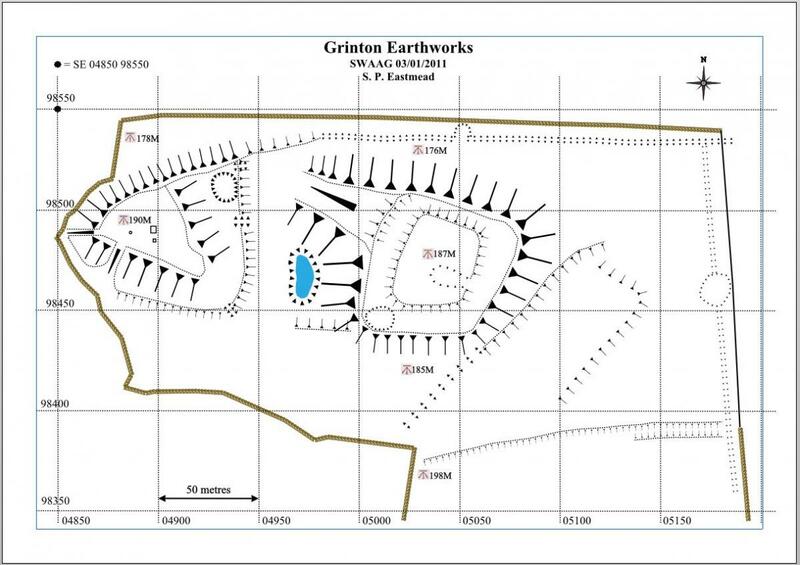 Additional Notes See SWAAG reports on geophysics surveys made of this area. 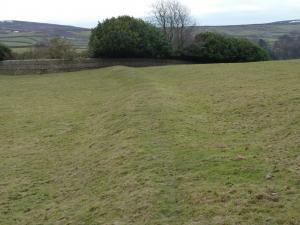 Image 8 Description Looking toward the NE corner of the field from the eastern mound, showing shallow bank. Image 9 Description Looking parallel with the River Swale showing mound heights Western mound in the foreground.